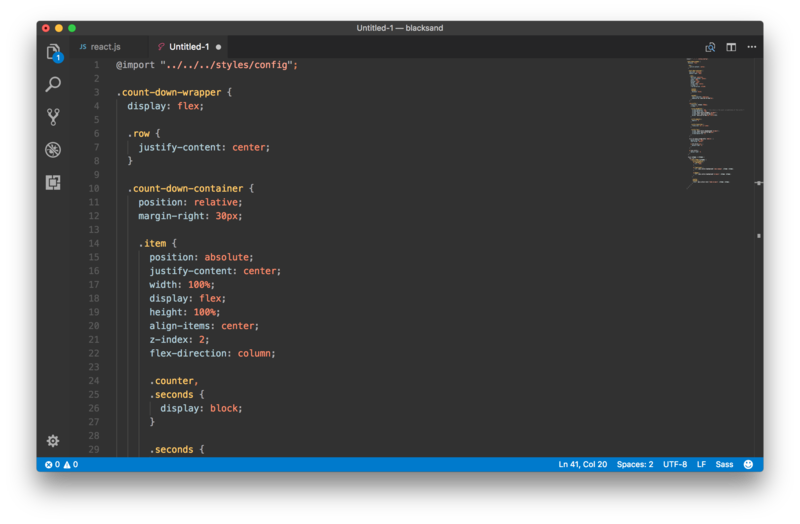 Visual Studio Code>Themes>BlackSandNew to Visual Studio Code? Get it now. A theme inspired by the black-colored volcanic sand. A theme inspired by the formation of black sand upon volcanic eruption." Tones of natural elements right off the bat: Fire (lava), air (smoke) and dark sand gives a natural experience. 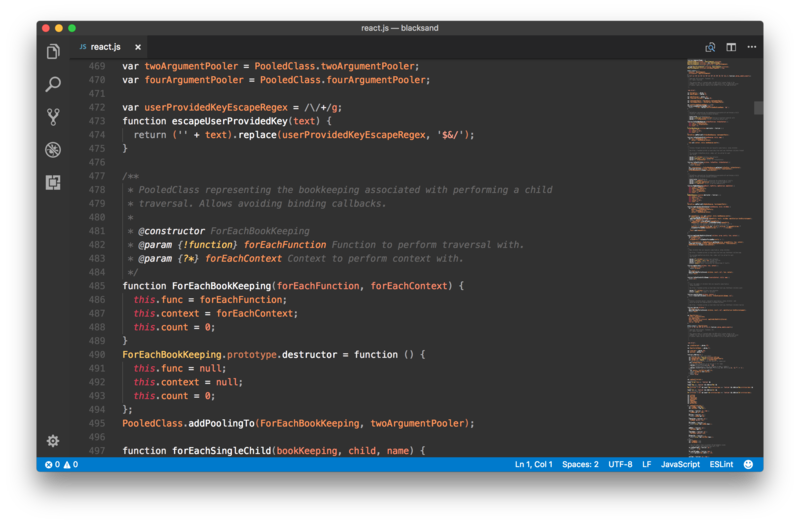 Theme is neutral of blue tones, making it easy on eyes for long-haul coding sessions.